If there's one video game genre I missed out on, it's the point-and-click adventure titles. Hell, my first time with one was when I played Day of the Tentacle Remastered during the beginning of the year, which left me impressed with its Chuck Jones-inspired animations and the way how the cast reacts to your actions. Prior to this joyous moment, I got to hear my friends say great things about the Monkey Island series and I Have No Mouth, but I Must Scream. Thanks to their passionate discussions about the genre, it made me I look forward to playing them one day. 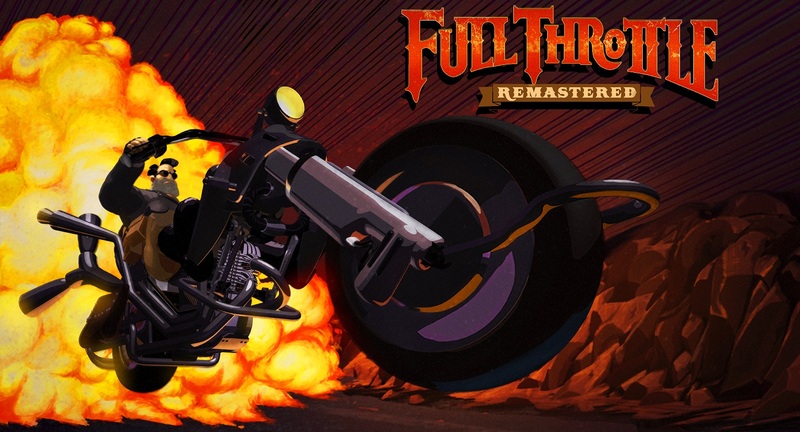 As Double Fine Productions hits us with the remastered version of Full Throttle, the idea of witnessing their classic interactive tale through a biker's perspective felt like a great way to expand my experience with the point-and-click adventure genre. Just like the feeling that comes from getting a sweet new ride, it was worth taking this baby for a spin. From the moment Ben Throttle, the game's star, donned his goggles and started up his motorcycle, Full Throttle Remastered's narrative takes advantage of its motif. It escalates from a story that felt like it would've been a heartwarming tale about a biker gang bonding with a motor company's owner through a shareholder meeting, to one about a leader going out of his way to save his boys from trouble. Throughout the adventure, we deal with the themes of corruption, tradition, and comradery while the title does it best to make us feel an array of emotions. In a setting where hover vehicles seem to be the latest thing, Full Throttle Remastered reminds us of the importance of keeping certain practices from dying out. Ben and the other bikers represent a group who wish to keep riding the endless roads while they feel the impact of their motorcycles touching the pavement. 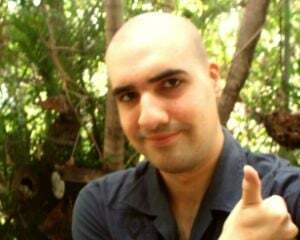 While many of the game's gang comes off as troublemakers, the title does a wonderful job in giving us a taste of their culture while they justify our lead's reasoning for taking certain actions to the extreme. One thing that contributes to Ben's character is the way how the point-and-click elements compliment his biker status. When things don't go as planned, we're given the option for him to perform some brutal tasks, such as kicking down a door with extreme force or using one's hands to do the persuasion. The timing and movement of his actions is handled in a way where you feel energized after you trigger the events to move forward. Perhaps the best command is the option to have Ben put his lips on things since it results in some hilarious moments when he actually does it. The main thing that contributes to the humor is that our lead is depicted as the badass who talks like he doesn't have a care in the world, so it's fun to see him get involved in a few humiliating segments here and there. Going back to the theme of tradition, another big element in Full Throttle Remastered's story has to do with trying to expose the shady dealing happening within Corley Motors, the last manufacturing corporation that makes motorcycles, since it could mean the end of biker culture as we know it. With Ben's gang in danger, this puts him in a situation where the law and the company's cohorts are on his tail, which gives the player a sense of urgency to help the main cast reach their happy ending. Like with many dangerous roads, the ride can get bumpy in some parts. During scenarios where you fight against rival gangs, you get to use your hands, feet and whatever weapon you have at your disposal to knock your opponent off of their bike. Unfortunately, these confrontations boil down to just keeping a steady distance from your target while you two exchange blows, and you don't have many options to avoid their moves. While these parts felt a bit tedious, there was something rewarding about watching your enemy taste the pavement-- especially when you use the right tool against them. Because of these cool and funny events, the game managed to add some entertaining elements to these battles. Another segment that wasn't fun is associated with an event that involves crashing into your opponents. This was due to the controls feeling sluggish when you move around. Thankfully, its puzzle elements helped it feel nice when you came out victorious. Seeing that these bumps make you feel good after you ride past them, they don't get in the way of Full Throttle Remastered's main destination, as the game's plot remains in high gear. With the game having an assortment of upbeat rock tunes, Full Throttle Remastered makes sure that you're feeling a sense of adrenaline throughout your entire playthrough. In some cases, the music slows down to capture the mood of being in a bar or truck stop during a road trip. Combined with the cast using accents to fit the bikers and the residents of a U.S. desert setting, the game's mood keeps you glued to the screen at all times. Just like Day of the Tentacle Remastered's provided a new sheen, Full Throttle Remastered turns all of its design into smoother looking pieces. They all sport a nice simple look that complements the game's cartoony style. On top of that, the cast having outlines that match their features made everything feel natural. For those who prefer the pixel version, you're given the option to switch between the title's two graphical styles. Other than that, there's a commentary mode to inform us about the creative process that went into making this adventure a reality. Considering that everyone likely had a blast with making this project, it's wonderful to hear the developers discussing their inspirations and reasons for the direction they took with their work. 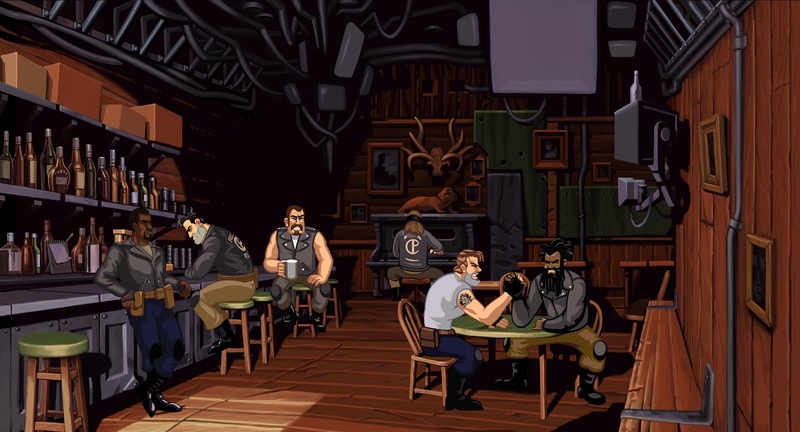 Full Throttle Remastered serves as an example that shows players why many people adore these titles. Tim Schafer and his crew taught us the importance of upholding traditions and bonds through the ways of the biker gangs. At the same time, we're treated to a story where the characters' performances took us on a timeless ride that brought us joy and satisfaction. In fact, reaching the end of this game's tale is the equivalence of going through the ride of your life.